Glass does not age with sunlight, and in some cases, it becomes more vibrant. A painting is subject to decay from moisture, dryness, heat, and sunlight; whereas one of my glass mosaics is not. My fine art wall hangings are created by cementing each individual piece onto concrete backer board, grouting with a latex additive grout for temperature flexibility, and sealed with stain resistant and moisture sealer. If you purchase a glass mosaic, it is an investment in the future. My art has the ability to be passed on to generation after generation without the need for museum quality environments thus making your purchase an investment. 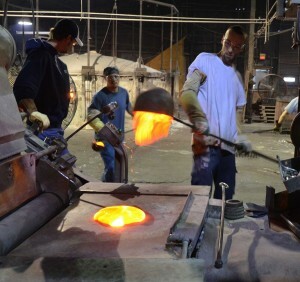 Colored glass has been produced since ancient times. Both the Egyptians and the Romans excelled at the manufacture of small coloured glass objects. The term stained glass can refer to coloured glass as a material or to works produced from it. Throughout its thousand-year history, the term has been applied almost exclusively to the windows of churches and other significant buildings. Although traditionally made in flat panels and used as windows, the creations of modern stained glass artists also include three-dimensional structures, sculpture and mosaic. Glass factories were set up where there was a ready supply of silica, the essential material for glass manufacture. Silica requires very high heat to become molten, something furnaces of the time were unable to achieve. So materials (potash, soda, lead) needed to be added to modify the silica network to allow the silica to melt at a lower temperature, and then other substances (lime) added to rebuild the weakened network and make the glass more stable. Glass is colored by adding metallic oxide powders or finely divided metals while it is in a molten state. Copper oxides produce green or bluish green, cobalt makes deep blue, and gold produces wine red and violet glass. Much modern red glass is produced using copper, which is less expensive than gold and gives a brighter, more vermilion shade of red.